Do most of the prep the night before…then get a delicious breakfast on the table quickly and easily in the morning! 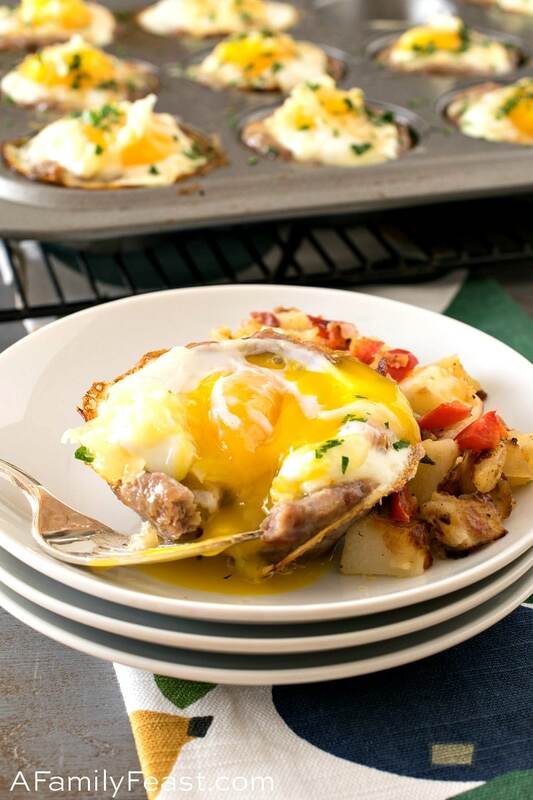 Feed breakfast to a hungry crowd with these easy Baked Sausage Egg Cups. 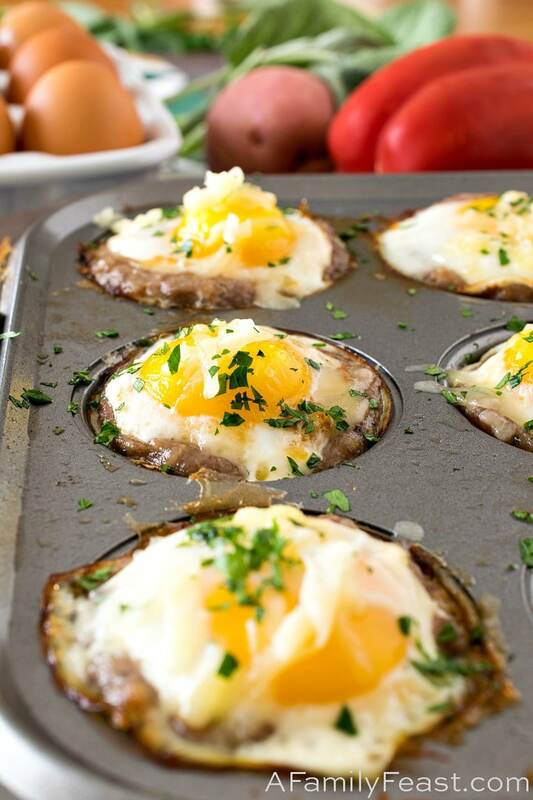 These delicious Baked Sausage Egg Cups are a perfect breakfast option for so many different reasons. 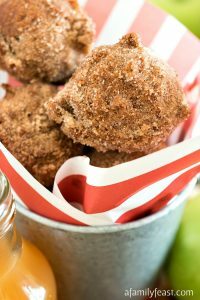 First of all, this recipe is an easy way to feed a delicious breakfast to a crowd of visiting guests. You can do most of the preparations the night before, then add an egg to each sausage cup and bake. 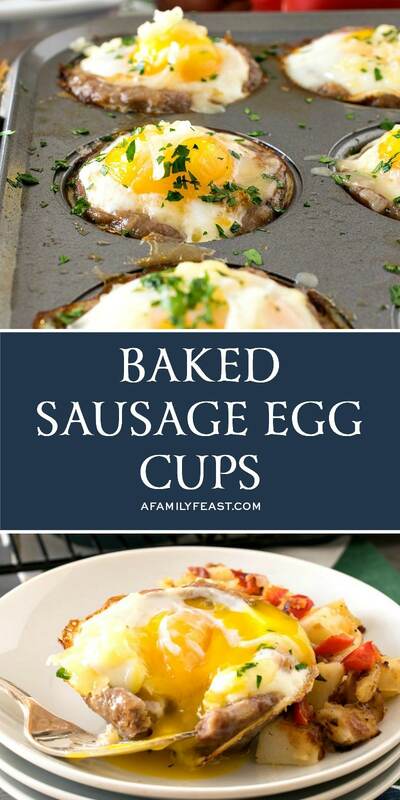 Second, these Baked Sausage Egg Cups are a great choice for a ‘cook once, eat for the next few days’ breakfast on-the-go for busy weekday mornings when everyone is rushing out the door to school and work. 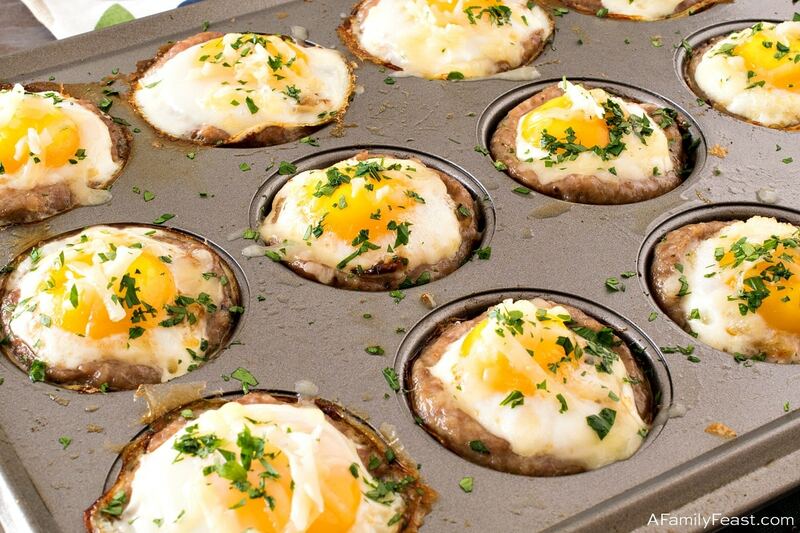 Third, you can even enjoy these Baked Sausage Egg Cups as a ‘breakfast-for-dinner’ kind of meal. 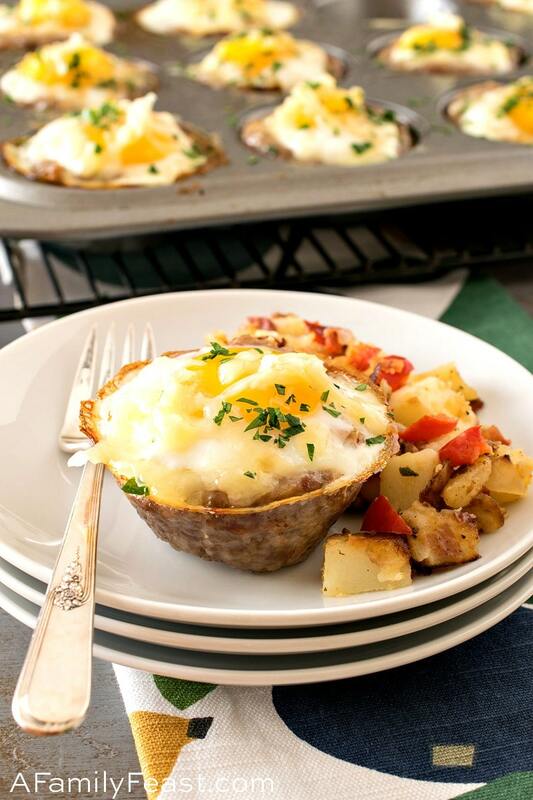 Our recipe below includes extra potatoes to serve on the side of your egg cups. And a side salad too – and you’ve got a delicious ‘brinner’ meal! 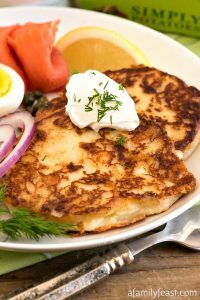 Fourth, if you’re eating a low-carb or keto diet these days, skip the potatoes entirely and you’ve got a delicious low-carb meal. 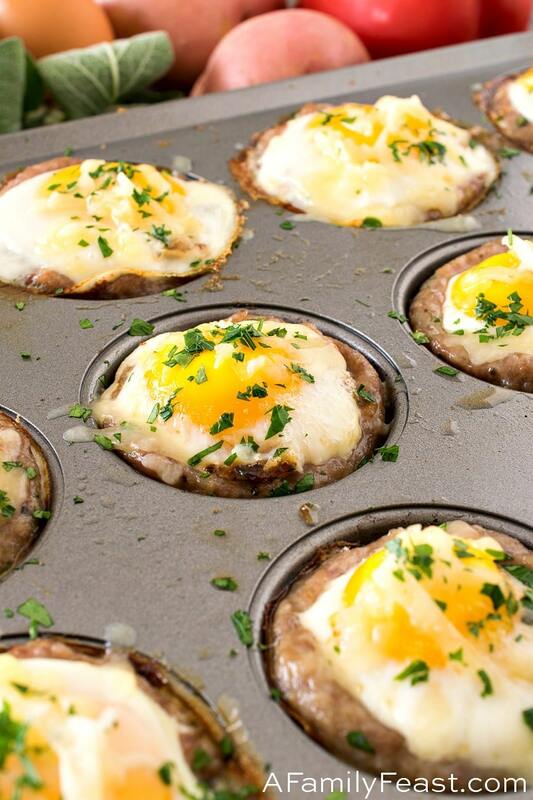 Finally – these Baked Sausage Egg Cups are simply delicious! 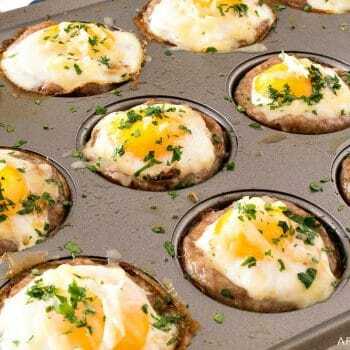 How do you make Baked Sausage Egg Cups? 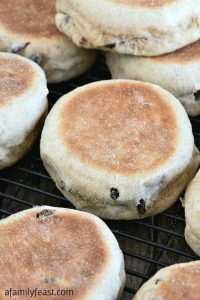 You’ll press bulk sausage into greased muffin cups, pressing with your fingers to form a sausage-lined cup. (We used breakfast sausage in our Baked Sausage Egg Cups recipe today, but you could also swap in other kinds of sausage to suit your tastes including Italian sausage, sweet or hot). Next, add a tablespoon of a flavorful potato and pepper mixture, and press down into the sausage cup. 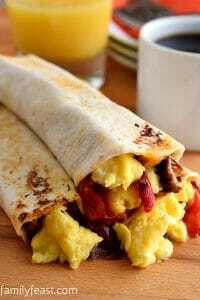 A generous sprinkle of sharp cheddar cheese goes in next, then crack an egg on top of each cup. Bake for about ten minutes, then sprinkle more cheese and some chopped, fresh parsley on top. Serve these easy, delicious Baked Sausage Egg Cups with more of the potato-pepper mixture on the side and dig in! Place the skin-on potatoes in a pot covered with water and bring to a boil. 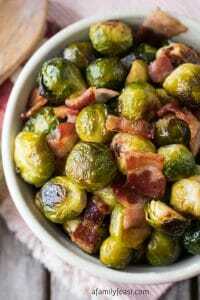 Once boiling, salt the water and boil 10-15 minutes (10 for small and 15 for medium size) or until just short of tender. Poke a fork in and it should be still slightly hard in center. Drain and place the potatoes on your cutting board and once cool enough to handle, dice into small half inch or smaller dice. 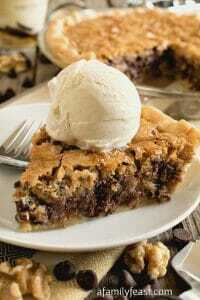 (Slice one way, cut the slices into strips then the strips into cubes). In a large skillet or sauté pan, place oil, butter, bell pepper, onion, garlic, salt, pepper, sage and the cut-up potatoes and cook over high turning and flipping with a spatula until browned, about five to ten minutes. Remove from heat and set aside. In a standard-size muffin pan, liberally spray with kitchen pan spray including the top of the pan. Divide the sausage meat between the 12 cups, two ounces per cup to be exact. 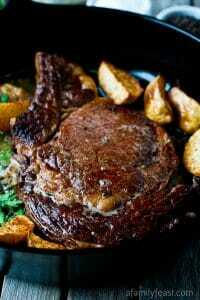 Press into the center and let the meat run up the sides higher than the edge of the pan (as high as you can). I had a ¼ cup measuring cup that fit perfectly when pressed into each cup for getting the sausage perfect. I sprayed it first with pan spray so it wouldn’t stick to the meat. Press one tablespoon of the cooked potato mixture into each sausage cup and press in with your thumb. Sprinkle on ½ cup of the shredded cheese dividing over the 12 cups. Again, press in with your thumb. Test one cup by cracking an egg into it. If the white stays in place, cracks eggs into the remaining cups. If it leaks over the top, press the cups even further to make room for the egg. See note. Spray the top of the entire pan with more pan spray and place in the oven for about 10 minutes or until egg is cooked but still has a runny yolk (if that is how you like your eggs). Remove from the oven and top the eggs with the remaining ¼ cup of cheese and sprinkle on the parsley. Reheat the remaining potatoes if needed and serve one egg cup and the potatoes on the side to each guest. If your supermarket sells bulk breakfast sausage without casings, you could use that or use the brands that come in a tube, like Jimmy Dean brand. Pressing the sausage into a high-sided cup shape is crucial to fit all of the ingredients. You could also separate the eggs by just putting the yolk in, then whisking the whites in a bowl and ladling in just enough of whites to reach the top of each cup. 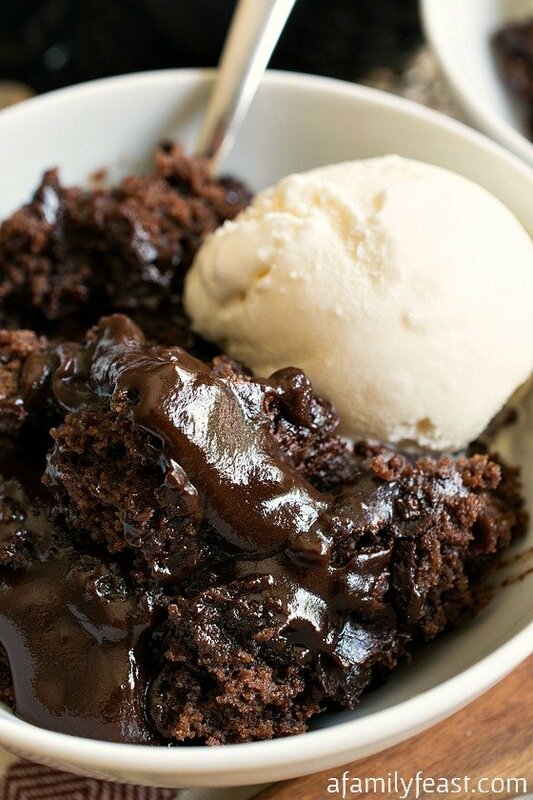 Hope you love the recipe Patricia! If I’m reading this right, the sausage is uncooked when it is put in the muffin pan. Is 10 minutes really enough time for the sausage to be fully cooked? Hi Terry – The sausage is pressed into quite a thin layer so yes, it should be sufficient to cook through. But if you need to bake it for longer (depending on which brand or type of sausage you use) you can certainly cook it for longer. Hope that helps!